The Sapphire Fort Lauderdale luxury condominium stands out both in appearance and in amenities. Its blue and white towering facade is easily recognizable and has become a unique feature of the Fort Lauderdale skyline. These twin 12-story towers, designed by the critically acclaimed Miami design firm Kobi Karp, provide an elegant and natural design scheme which aims to enhance the natural beauty of the surrounding area. Located at 2833 North Ocean Boulevard, Sapphire is just blocks from the beautiful white sand beaches, the Intercostal Waterway, and the bustling shopping and dining districts of Fort Lauderdale. Two and three bedroom floorplans are now available in a variety of sizes, budgets, and views. Two bedroom/two bathroom units start at just $569k with 1,247 square feet of living space ranging up to three bedroom/three bathroom units for $1.5M with 2,680 square feet of living space. Every luxury residence at Sapphire Fort Lauderdale features an expansive private terrace and outdoor living space. Floor-to-ceiling glass windows and sliding glass doors provide plenty of natural light, efficient heating and cooling, and seamless transitions from outdoor to indoor living spaces. Kitchens come standard with European-style cabinets, granite countertops, and high-end stainless steel appliances. Deluxe marble bathroom floors and showers provide the very best in luxury design and quality. Even better than the luxury amenities inside of your Sapphire Fort Lauderdale condominium are the countless activities and lifestyles available to all community members. Have the peace of mind you and your property are safe with 24-hour closed circuit security and concierge. Relax in the enormous resort-style pool measuring 20 meters in length. Get a tan on the private sun deck or relax with that special someone in private poolside cabanas. If a healthy lifestyle is important to you, Sapphire Fort Lauderdale has everything you need to be your best self. The state-of-the-art fitness facility comes equipped with steam and sauna rooms, a yoga and aerobics studio, spa, and locker rooms. All permanent residents of Sapphire Fort Lauderdale have exclusive access to Harbor Beach Resort and Spa. If you are looking to venture out into Fort Lauderdale and the rest of South Florida, Sapphire puts you in the driver’s seat. Just a few blocks from Hugh Taylor Birch State Park and countless dining, entertainment, and nightlife establishments, Sapphire is right in the middle of the action. Take a short ride to The Galleria boutique shops or hop on nearby Route 1 or I-95 for direct access to Miami and other South Florida beach communities. 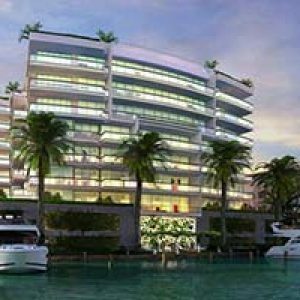 Sapphire Fort Lauderdale offers the very best in luxury and lifestyle that Fort Lauderdale has to offer. Don’t miss out on this opportunity to own your own slice of tropical paradise!